Most car lawsuits follow a specific pattern: someone alleges that someone else is responsible for an accident, leading that person to seek damages to pay for car repair and, if necessary, medical expenses. That being said, every once in a while a car lawsuit that is so odd it makes you shake your head comes out of nowhere. Sometimes, these bizarre stories even make your head spin! Although I’d be happy to report about a car lawsuit that could amuse you, this one is actually a little sad – for both parties involved. As reported in the New York Daily News, a man named Harry Shasho, who had already pled guilty to leaving the scene of an accident, decided that the NYPD didn’t have proper safeguards in place to protect his car when it was taken in for evidence and impounded. The man wanted some $190,000, presumably to fix the damages. According to the police, however, Shasho’s car was already crumpled as a result of a hit-and-run accident in which a Brooklyn man was killed. After causing so much to hurt others and not owning up to his accident to begin with, you’d think Shasho would at least have the good sense not to try and recoup his money. 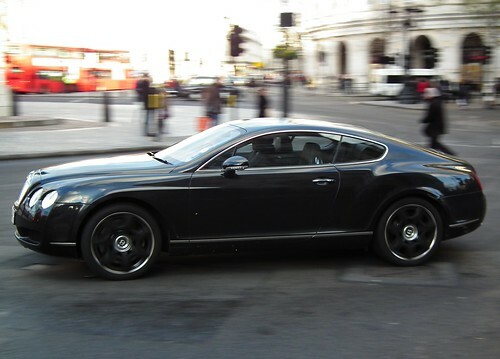 Shasho claimed that the Bentley, a 2005 GT luxury sedan, was turned over to police in excellent condition, a claim that directly flies in the face of reason. In another case involving a Bentley, rapper and hip-hop artist Soulja Boy faced a lawsuit after crashing his own car into another vehicle. At first, Soulja Boy denied that he was even driving the car, but he later admitted that he was. If that wasn’t enough, he went on to blame the other car for the accident. Soulja Boy took to YouTube to air out his legal problems, leading to further lawsuits for defamation. Talk about adding insult to injury. An accident doesn’t always have to take place between two cars to lead to legal action. In Wisconsin, a horse became the focus of a personal injury lawsuit after a woman claimed she was driving her Grand Am when the aforementioned horse charged her. The horse damaged the car as well as the woman. Because the horse itself can’t be legally held for damages, the woman is suing the owners of the horse for negligence in supervision. Using negligence as a case in a lawsuit like this requires the owners to actually be negligent. If the horse’s behavior can’t be pinned on the owners, then they are not held to pay. Legally, this situation is not handled in the same manner as a case involving a dog that is gets loose and injures someone. Needless to say, caring for a horse is much different than caring for a dog. Chris Turberville-Tully writes for HR Owen, a luxury car dealership in England. When not writing, Chris enjoys spending time with his kids, traveling or driving through the countryside. Circle Chris on Google+.